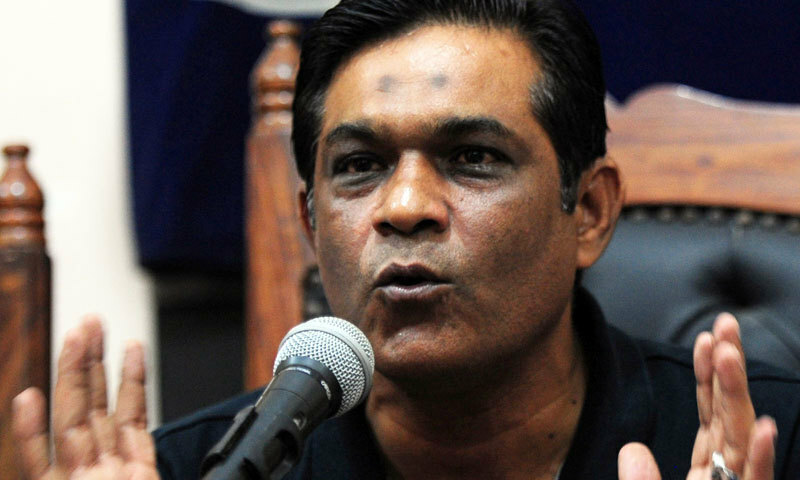 KARACHI: Former captain Rashid Latif has pinpointed Pakistan team’s “inappropriate preparation” as the main reason for their downfall in Test cricket. Talking to this correspondent over phone from Islamabad, the ex-Test wicketkeeper/batsman minced no word in recalling the post-Champions Trophy attitude of the team management and the Pakistan Cricket Board as one of the major reasons for the country’s downfall in the five-day format. “One of the main problems was the extended hangover of the  Champions Trophy triumph. Captain, coaches, management, selection committee or the board, everybody was under the influence of the historic feat longer than required,” Rashid maintained. After the Champions Trophy, Pakistan lost eight out of 13 Test matches while winning only four. Rashid also questioned the team’s preparations leading up to the ongoing South Africa tour as well as the team combination. “Preparations weren’t up to the mark. In the first Test, Azhar Ali came to bat at number four, who never played at this slot. In the second innings of the second Test, Azhar was pulled back at number three while Fakhar Zaman batted at number six. This is the reflection of bad preparation and is indicative of the fact that Pakistan lacked middle-order batsmen on the challenging tour,” Rashid elaborated. 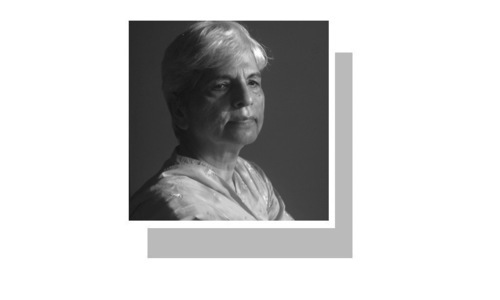 “The likes of Usman Salahuddin and Saad Ali were carried for about a year but were sidelined. Similarly, [pacer] Mir Hamza was also dropped for the South Africa tour,” he pointed out. In the third Test against South Africa, Rashid reckoned, the focus of the Pakistan team management shifted to the forthcoming ODI series. Therefore, he added, Shadab Khan and Faheem Ashraf were included in the playing XI. “Along with Shoaib Malik, Mohammad Hafeez and Usman Shinwari, Shan Masood has also been included in the ODI squad which I feel is an awkward move. No doubt Shan’s performance in the [South Africa] Test matches was brilliant but it doesn’t warrant an alteration to the combination of the limited-overs team,” Rashid emphasised. While admitting there were flaws in Sarfraz Ahmed’s captaincy skills, Rashid insisted that only the skipper was not responsible for the team’s poor performances of late. “Even this captain [Sarfraz] can produce good results with a better [team] combination or else give this combination to any captain, the problem will remain the same in Test cricket,” Rashid said. 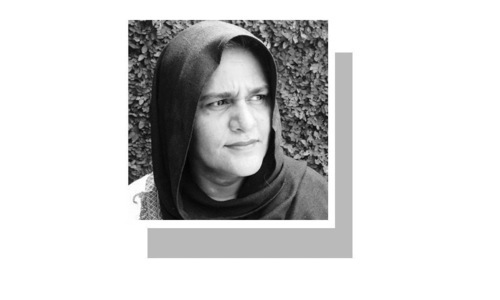 “Unfortunately, domestic performers like Abid Ali, Usman, Saud Shakeel or Saad were not even tried and developed for the future. The players in the eyes of selection committee or the team management kept on getting frequent chances,” he added. “We fast tracked a [promising] youngster like Shaheen Shah Afridi which is not the right approach. This performance puts a question mark on the selection committee as well as the coaching staff and the management. “However, since the World Cup is around the corner, [major] changes presently is not advisable. Rashid feels it is evident that Pakistan is in a difficult phase and noted that the 15 ODIs — against South Africa, Australia and England (five each) — prior to the World Cup are crucial. Mr Inzi the chief selector needs to get going. Also the only person who is still in CT hangover is sarfaraz..he needs to either step up his game or resign as a test captain. Atlast....somebody is stating the obvious!!! With due to respect to Rashid, we will continue to boast our CT victory. He needs to realize that we can't hang on to anything else. This was victory against India, our arch nemesis.We need to conveniently forget all our T20 defeats against them post CT and continue beating our drum. I am calling out each of their victory or centuries as fluke but without much support from my countrymate. Team doesn't have patience to play Test match. This is like the West Indies team, good in T-20, not great in longer format. Pakistans Asia cup performance is enough to prove that CT win was a fluke. Rashid consider the fact that what else to bank upon if not CT? It is/was big deal as it was against the neighbor. So need to conveniently tune out any defeat against them after that and bring back focus on CT. I keep calling fluke for any of their success, expect support from my mates. Perfect analysis, balanced yet full of insight ! Inzamam needs to replaced. Every time he gets into a position of responsibility, Pakistan cricket suffers. I don't understand what he had done in the past to merit the tag of a strategist or talent spotter. His legacy includes luminaries such as Kamran Akmal, Shoaib Malik, and Hafeez. As captain he couldn't even manager Shoaib Akhtar. @Waqas, "Also the only person who is still in CT hangover is sarfaraz..he needs to either step up his game or resign as a test captain." Can you explain how changing the wicket keeper will solve the batting problem? At this speed, we'll soon have a test team with batsmen only!!! As I indicated earlier in this comments forum that if this SA tour was important than it should have started atleast one & half months after new zealand series in UAE. But because of hectic schedule it was arranged withing two weeks after NZ series. Thats why the tour was ill-prepared because of lack of preparation time in advance. Despite the fact, the team combination and selection were not perfect to atleast give SA some fight. It was just like a walkover to SA though occasionally some glimpses of individual brilliance from Babar, Shan & Asad. Azhar Ali was completely clueless which is astonishing. He has crossed his purple patch and PCB should look to groom few youngsters under his shadow. Rashid's advised players for chance like Saad, Usman, Abid couldn't have made any difference and its good for their future that they were not part of this debacle. Overall, with attitude of Pakistani players it suggests that they are not serious playing test matches which needs more hard work. @Vijay from San Francisco - why do you think unbelievable, is being honest a crime?? Rsshid is trying to cover up the truth. Pakistan cricket misery is not weakness of team or captaincy, but it is nepotism, corruption, biases, fafouratism and like/dislike factors in PCB management, selectors and coaches, who are selfish and do not care about Pakistan or cricket. 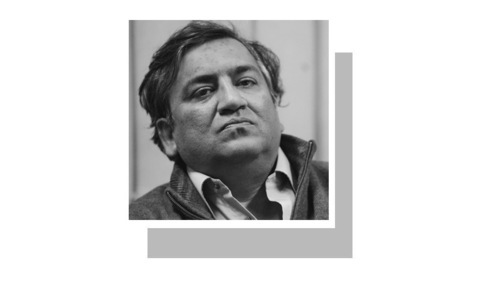 Rashid is so fearful in his analysis that he did not even dared to name Fawad, whose performance in domestic cricket, against world best Pakistani bowlers, was immaculate. To say that world cup is too near, so changes should be left for future, is complete dishonesty. This team of incompetents could not win any match, so it is better than Pak should withdraw from world-cup. In my opinion, selectors job should be curtailed. Selection should be automatic on basis of performance in domestic cricket on merit, and after that, if team fails than there would be no complain. It is better that a team selected on merit fails, than team selected on basis of nepotism, biases, favouratism and like/dislike succeeds. I really like this man's analysis. He is also correct in view of the bowling. amir is not a fast bowler, and certainly not a wicket taker of top order batsmen. Sarfraz think he is no less than great Imran Khan. He needs to forget about CT win, move forward, concentrate on his game, else leave the team. Pakistani batsmen are talented like Virat Kohli. What they are missing is Virat's passion and Dhoni's calmness. @Dr. Salaria, Aamir Ahmad, was the 11 earlier world cup wins (6 ODI, 5 T20 World cups) all fluke? Dream and imagination have no bounds. Keep going. CT win was a fluke because Pakistan had surprise factor on its side. Both its bowlers like Hasan, Shadab, and batmen like Fakar were new. No one had seen them. Their weak points were unknown. But 2 years down the line, none of them is doing good. The surprise factor is gone. And the same bowlers are going for sixes, and the same batsmen are getting out on ducks. Seeing the performance of their youngsters, PCB has decided to select all old players for WC2019. Looking at the forms and qualities of some of the players in our team, I think a couple of players from our ladies team can easily get chances in playing 11 - especially Javeria, and Nida Dar. @LoneWolf, This itself is a false statement, how do you know they are as talented as Kohli. Kohli's technique is superior. He has the ability to make a good ball look silly. Nobody has seen any Pakistani player as good as Kohli. So it is best to get out of this impression that Paksitani players are talented as Kohli. It is not a compulsion to be as good as Kohli in the first place. Such pressure only adds to declining performance. @Masood Abro, PCB was elated that they got more games than expected. Well take the consequences now. Pakistani bench is not as strong as some other leading nations, hence a hectic schedule is always bound to decrease the performance level of the team. @Waqas, Do you have any able replacement for Sarfaraz Ahmed??? Lack of accountability brings in complacency, then it paves way for negligence and then never ending flood of misery and failures arrives. Has Najam Sethi in past or Ehsan Mani now has bothered to question the foreign coaching team that are drawing their salaries in US dollars and Selection committee about their constant failure to pick the team on merit??? Fakhar is suffering from a "crisis of confidence". How is he supposed to fare any better in a 50 overs game given the Pakistani test team had a problem lasting 50 overs even in the tests. There is an excuse for anything but not this. Very well said Rashid Latif. However, I don't agree with your opinion about Shan Masood playing the ODIs. Shan showed a lot of potential and strong technical skills and was rightly included in the ODI. In fact, I think Asad Shafiq should have been included in the ODI squad too. I am not clear why Junaid khan was not included in the ODI team. Not a fan of Mohammod Aamir as he is over rated and not effective. Where is Umar Akmal? Has he sorted out his issues? If so, he can strengthen the Pakistani batting. @Balaji Krishnamurthy, Please no Akmals. They are drama and have been provided a lot of opportunities. Talent is no use if you cannot consistently score runs. Pakistan team does not need drama now. @Dr. Salaria, Aamir Ahmad, Your logic/analysis does not make any sense. @BAXAR, “Can you explain how changing the wicket keeper will solve the batting problem?” He is not just the wicket keeper, he is the captain. He has a role in team selection, team motivation, field placement and also leading by example by scoring well. Truly weird remarks. Latif is critical if you don't include new blood (Saad, Salahuddin, etc) and also if you do (Afridi). This is criticism just for the sake of criticizing. Latif is normally a very wise commentator, I would urge him to suggest something more constructive. You are right - 'Talent is of no use if you cannot consistently score runs' Talent displayed in domestic cricket doesn't necessarily translate into performance at the internstional level. Rashid is brilliant analyst and being an Indian I have great liking on how he explains in details with proper rational . He has a great chemistry with Dr.Nauman and never miss their program "caught behind" available on YouTube. 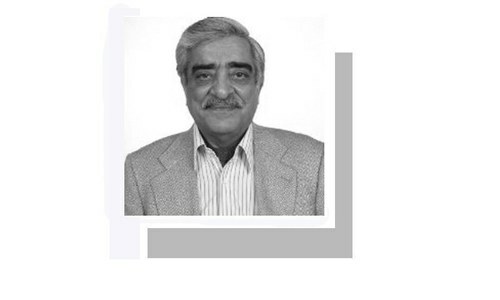 What he has said is bang on and is very much reflective in these column of some Pakistani commenters who still consider winning the CT was the ultimate and keep on harping about it and blindly ignoring the current form of their team and the results achieved in the last year or so . 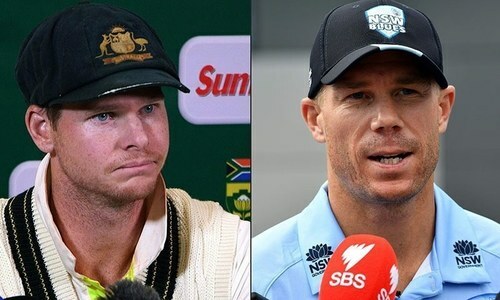 @cricketlover: Why do you lie? .. Rizwan never played test against Australia. Rizwan played only one test in his career, not as w/k but as batsman, and that was against New Zeland in Hamilton (25-29 Nov 2016). That was Rizwan first and last test. Unfortunately he did not do good as batsman. He scored 0 in first inning and 13 no in second (Total 13 runs). As for Sarfraz, as w/k in that same match against NZ in Hamilton (25-29 Nov 2016), took 7 catches out of 15 wickets NZ lost. As for runs, Sarfraz made 41 runs in first inning (second highest of Pakistani first inning total 216 runs ... highest was by Babar Azam). In second inning, Sarfraz made 19 runs and got runout (culprit on other side was Azhar Ali). As for 19 runs, it was 3rd highest of Pakistan inning (2 batsman scored more was Sami Aslam and Azhar). Sarfraz total was 60 runs in that match. Even though Sarfraz was playing as W/K, he batted better than most Pakistan batsmen who were in team as batsmen. Mr Latif talks a lot. Pakistani bowling in SA was not bad. Batsmen let them down. The hype created after the Champion Trophy was such that Pakistan had become unbeatable in all forms of cricket. On the contrary, Kohli and co took CT defeat as one bad day at office performed consistently to win many series subsequently and rose to number one position. India today, has won both test and ODI series in Australia for the first time. @Dr. Salaria, Aamir Ahmad, you are so biased with all your views. The first order of business has to be to remove Inzimam. He is really the culprit of poor selection and bringing biases in the playing eleven. A selector should be a player with a good cricket acumen, intelligent and with some education behind them to make smart decisions. This man has none. It is high time the cricket board relieve him of services quickly. He should never be allowed to do anything that requires intelligence.